Make a dreamscape for the city, promise summer for the city. Githead are Colin Newman (Wire), Malka Spigel and Max Franken (Minimal Compact), and Robin Rimbaud (Scanner). But who they are is far less important than what they are: a band, rather than just a collaboration between individuals, each with their own highly regarded creative résumé. Githead formed in 2004, for what was initially intended as a one-off performance at the Swim record label’s ICA-hosted 10th anniversary event. Over the course of preparations for the gig, though, it quickly became obvious to all involved that there was a natural and rare chemistry between them, one that held the potential for significant organic development. Progress was swift and a solid foundation was laid with the 2004 Headgit EP, written, recorded, and mixed in whirlwind fashion in Swim’s London studio. Boasting a fresh, almost raw approach, the tracks coupled hypnotic motorik rhythms with a keen melodic sensibility — a combination that would come to characterize the Githead aesthetic throughout subsequent work. The following year saw the release of Githead’s full-length debut, Profile, featuring material that had been road-tested during their first European tour. The album heralded the emergence of a bigger, lusher sound, as the band started to mine a richer vein of songwriting. 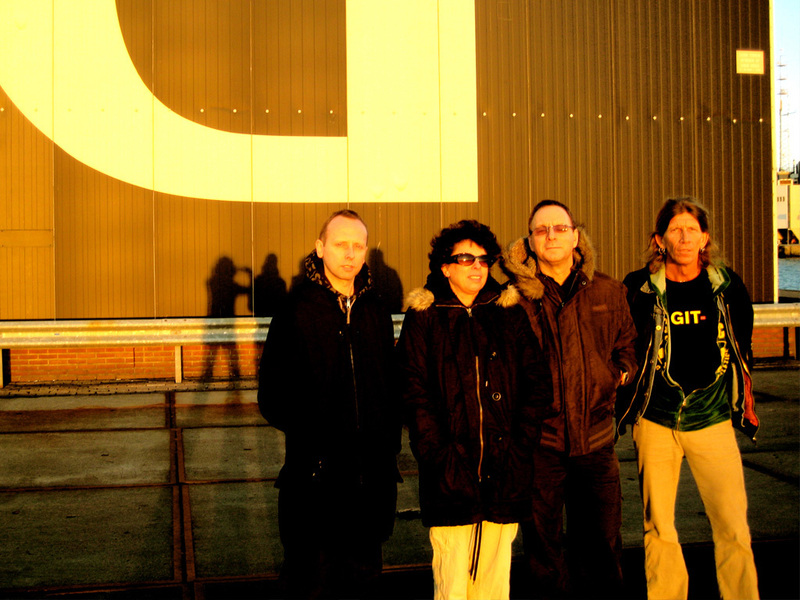 By the end of the 2005 gigs in support of Profile, Githead had made a quantum leap in terms of their strength and confidence in live performance. However, rather than simply take satisfaction in the knowledge that they had progressed exponentially onstage, they recognized a broader possibility: playing live together in the studio and interacting as a band in that environment offered considerable potential for the recording process. With that in mind, when they embarked on their second album in 2006 they took the opportunity to augment their work at Swim’s modestly sized facility with full-band sessions at Rotterdam’s more (spatially) accommodating Metropolis 22 studio. The fruit of their labours was Art Pop, born of a dual emphasis on classic, old- school recording techniques and good old-fashioned songwriting craft. The album was well received on its 2007 release, and the band took to the road in Europe for a series of dates. The synergy between Githead’s live prowess and their work on material at Swim Studio — as well as at Metropolis 22, during occasional trips to Rotterdam — led naturally to a third album, Landing. The band followed the record’s release in November 2009 with more gigs across Europe, having already made their North American debut in Canada earlier in the year. The band members began an extended sabbatical in 2010, in order to pursue their creative endeavours beyond Githead, but reconvened in August 2012 to make a new record. The chosen venue was the storied Rockfield Studios, deep in the countryside on the Welsh-English border. This time, the band took the bold step of pitching up without pre-written work, allowing the songs to emerge and evolve organically from in-studio improvisation. Any concerns over this admittedly risky methodology were soon allayed as the creativity started to flow. After three days, they had the basis for an album’s worth of material, which was then developed back in London at Swim. The end result, Waiting for a Sign (2014), is their most accomplished effort to date.